Sit down, kids, because I’ve got some good new and bad news. The good news is that Cadillac has plans to expand its performance-focused V-series sub brand. The bad news is that the era of two perennial Jalopnik staff favorites is coming to and end. Update: GM reached out and said that the ATS-V and CTS-V actually will not be going away. Update 10:36 p.m. EST: A General Motors spokesperson reached out and said that the current plan is to “grow” the V-Series, which will include “CTS and ATS variants.” The cars will love on through model year 2019 and be on sale most of next year. Two new sedans will effectively replace the CTS and ATS, and those cars are believed to get V variants. The CT6-V will join them, along with future, unnamed models. We’re not sure where the miscommunication occurred just yet, but we’re happy to hear that GM is now saying they’re not going anywhere. The original story follows below. When we first laid eyes on the new CT6 V-Sport at this past New York Auto Show, we were extremely excited. We saw the power output (550 horse, 627 torque), rejoiced and then happily started daydreaming about what a CT6-V would look like. That’s fine with me. It has the power and looks to live up to the name anyway. And there are also future V-series cars to come. Also very fine. V-series all of the things, I say! 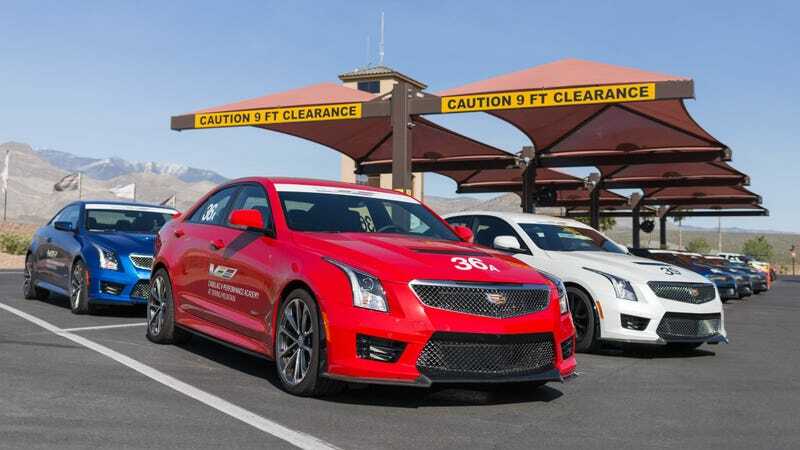 Unfortunately, that’s where the happy news ends, as a Cadillac spokesperson also told the outlet that 2019 will be the last model year for the much-loved ATS-V and CTS-V. Road & Track also confirmed the story. Yes, I know the cars were old. Yes, it was time for them to age out. But that still hurts me. They are both wonderful, brash vehicles. They look like they were drawn with straight-edges and gave those silly Germans a run for their money. They sounded great. They put smiles on faces. Whatever comes next has a tough act to follow. We’ve reached out to Cadillac for comment and will update if we hear back.